It originates in the hills of that name and drains the dry lands of Rafelbunyol. When it comes into contact with the watered gardens, it disappears within the main channel of the RSM (Royal Irrigation Canal of Montcada), within the limit between Rafelbunyol and el Puig. Towards autumn, it is usually increases the flow of the flood irrigation canal. 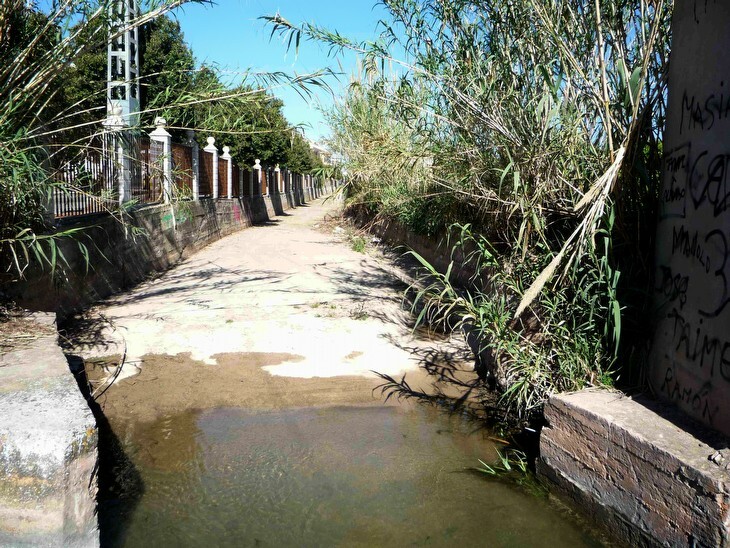 North of Carraixet the main perimeter canal dominated the Royal Irrigation Canal of Montcada is settled within the resulting spaces by the coalescence of the flood plain of the ravine with the stream beds of Moliner, Cabeç Bord, and Calderona. This flood plain, to the north of Carraixet, is narrower and higher than on the right side, with a lateral and parallel drainage line which consists of paleolith of the “Camí Fons” (Back road) of Foios.